Celebrating strong and resilient community spirit brings generations together. 2015 is a very important year for the Yalata community. It marks the 60th anniversary of the granting of land to the Lutheran Church to form the settlement of Yalata for the Anangu people who were displaced from their tribal lands by the nuclear testing at nearby Maralinga. 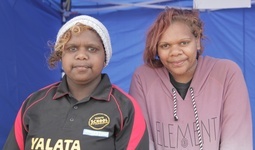 Kerrie's first experience as an ICV volunteer took her thousands of kilometers from home, to Yanyuwa country and the community of Borroloola, on the eastern coast of the Top End of the NT. 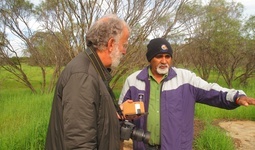 On the outskirts of Mingenew, a small town 100km south east of Geraldton in WA, lies a significant Aboriginal Reserve called Littlewell. Wednesday night before Easter was a big night for Jilkminggan. 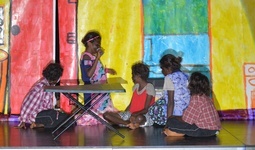 The small town on the Roper River had an opening night and about seventy people, young and old, came for the first performance of a play produced by the young members of the town. 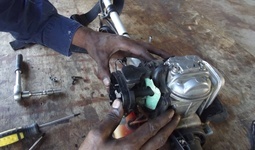 Locals are delighted to have learned new skills, extended the life of their vehicles and reduced the cost of motoring in this remote community.